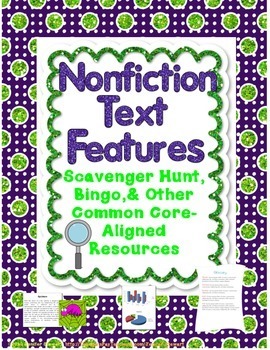 Nonfiction Text Feature Scavenger Hunt, Bingo, Quizzes, & More! 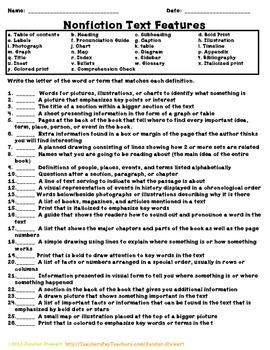 This download is perfect for students to find 26 different nonfiction text features in text books, nonfiction books, magazines, newspapers, and encyclopedias. 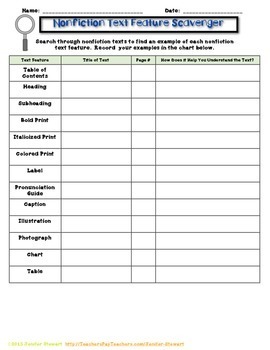 Nonfiction text feature worksheet for students to use with social studies & science texts. 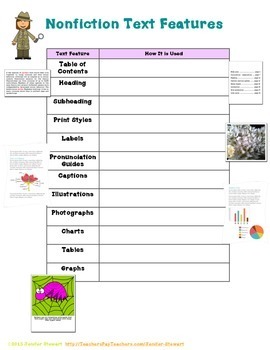 Students can learn about nonfiction text features in a fun and exciting way!